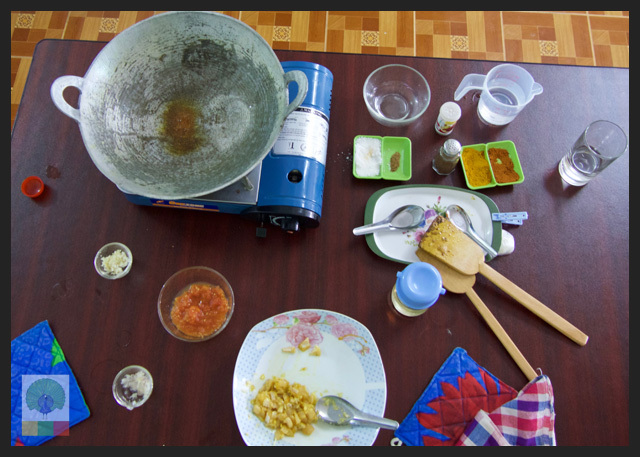 Last weekend my friend Mary invited me to join her cooking class and I really enjoyed it. 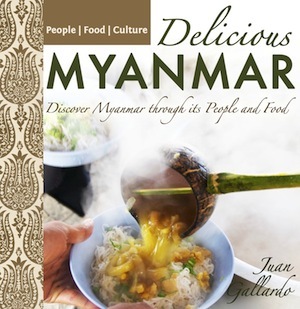 I love Myanmar food, culture and people and I recommend you to experience Myanmar this way too. Discover the daily market with a guide and pick out the ingredients of the dishes you will later cook. 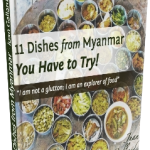 Meet a local cook who will teach you how to prepare different Burmese dishes that you will love and can impress your friends back home. 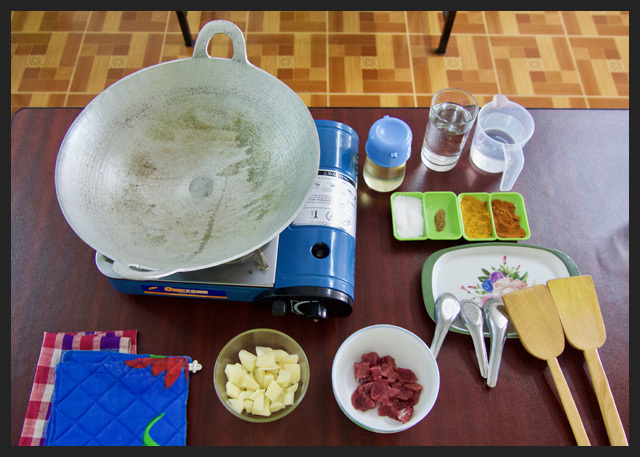 The cooking class starts at 9:00 am and finishes around 12:30 pm, after eating and enjoying the delicious food you have cooked. 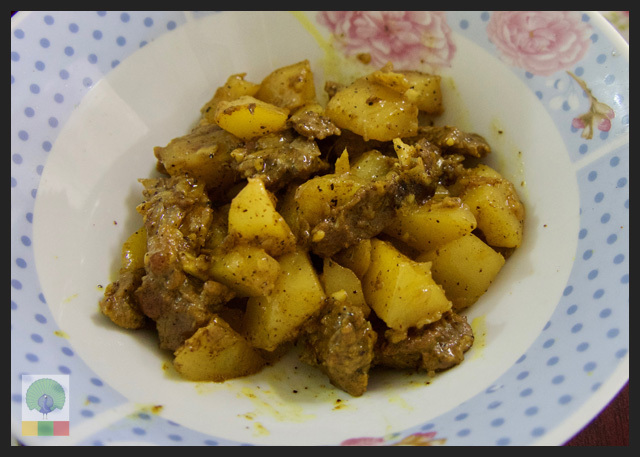 The three main dishes I cooked were: Beef Curry with Potato, Long Bean Salad, the famous Shan Noodles and Shwe Kyi (Semolina Cake) as dessert. Find the recipes next. 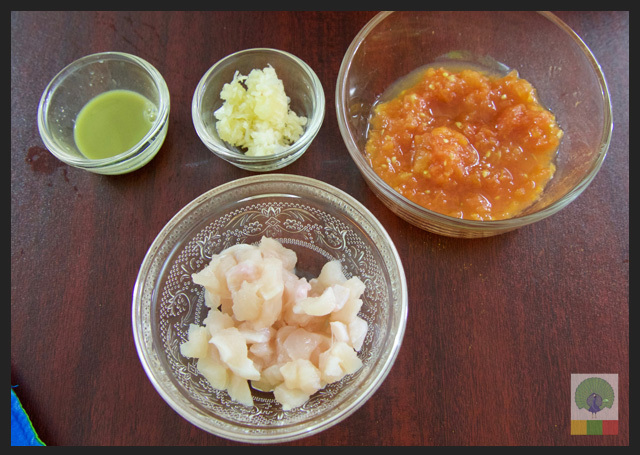 They also have a class for Chicken Curry, Pickled Tea Leaf Salad, Coconut Noodles Soup and Faluda. Can’t wait to do this one too. 1. 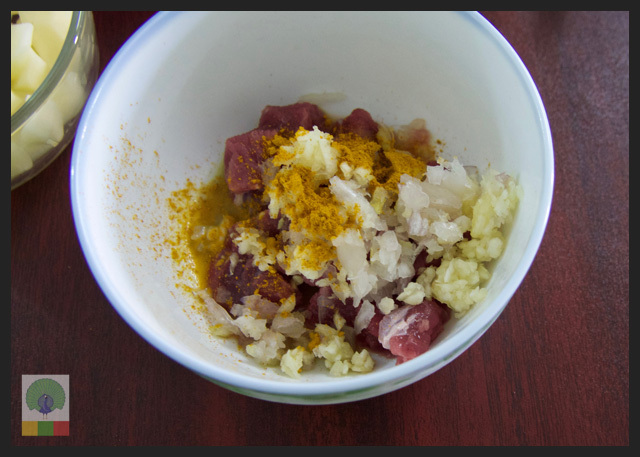 Combine the onion, garlic, turmeric and juice from the pounded ginger and marinate with beef and it is optional to keep for 15 or 30 minutes to let the flavors blend in with the meat. 2. Cut the potatoes top vertically into 4 pieces. 3. 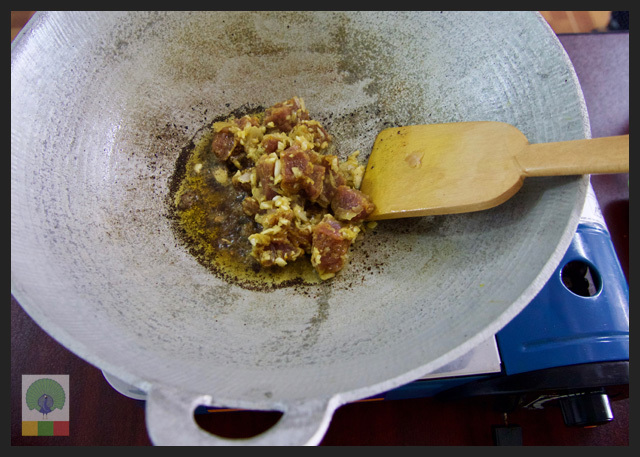 Heat the cooking oil on medium heat, once the oil is hot, put in the meat mix then add the chili powder and stir well turning the meat and cover with lid. When the meat is brown add 2 cups of water. 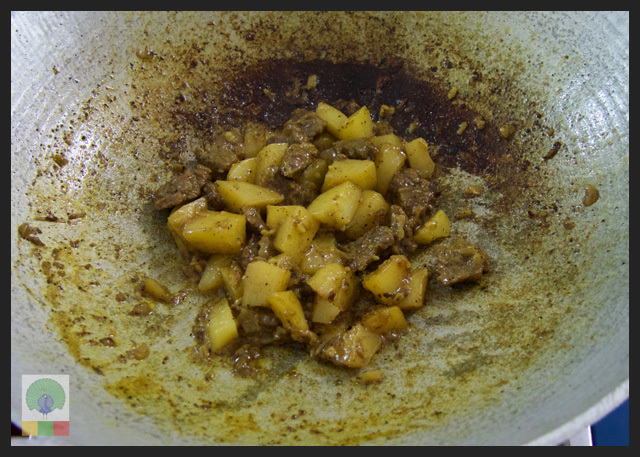 After 10 minutes add potato pieces and then 2 cups of water to let the potatoes cook well. 4. Keep the heat on medium until the meat and potatoes are well cooked. 1. 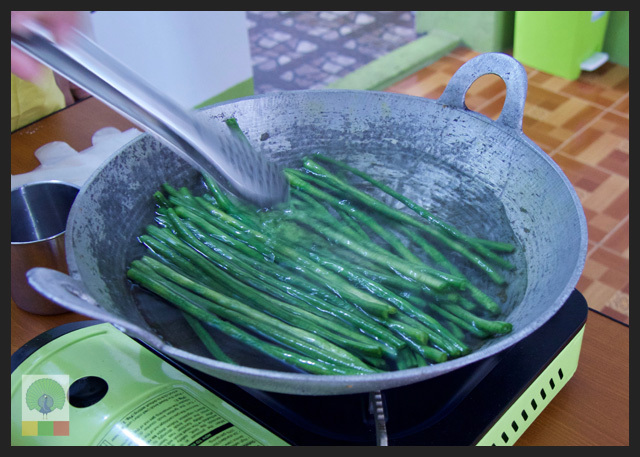 Boil water, dip the long beans into the hot water and boil for about five minutes until tender but still firm and not too cooked. Then strain the long beans. Cut the beans into one inch length. 2. Thinly slice the onions, soak them into cold water and strain. 1. 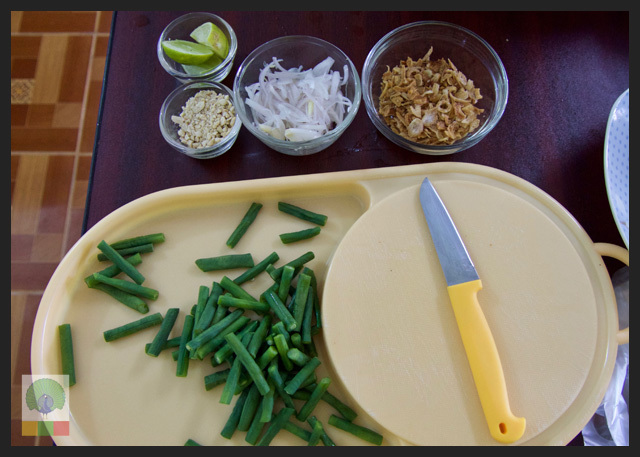 Add the thinly sliced onions on top of the long beans, 4 Tbs of crispy onions, pounded cashew nuts, season with salt and pepper. Sprinkle lemon juice and toss. 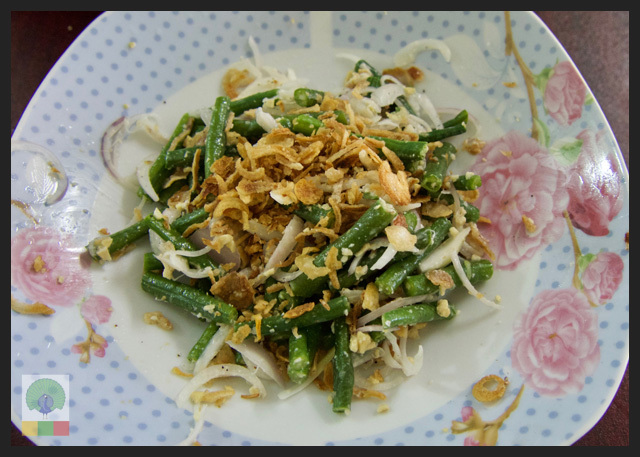 Sprinkle the last tablespoon of crispy onions to decorate on top. 1. Dice the chicken. 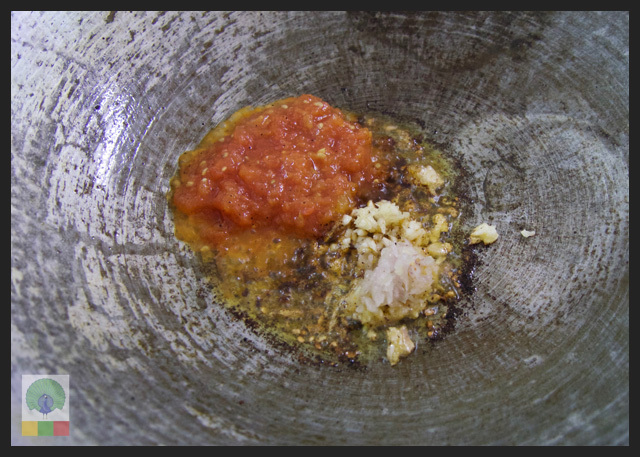 Marinate the chicken with the juice you get from pounding the ginger, turmeric, salt, half of the pounded garlic, pepper. Keep aside. 2. Boil the tomatoes, peel and seed it after cooled. Then mince well. cashew nut and shekawpakaw. Then add a cup of water and boil till the chicken is well cooked. Keep aside. 4. 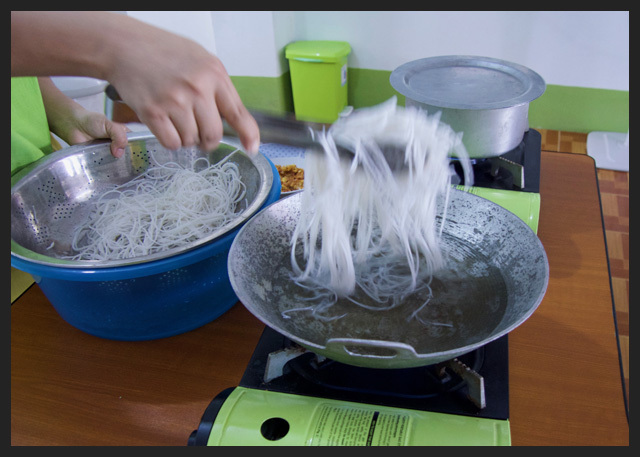 If the noodle is in packs, it is dry so it needs to be soaked in water for 30 minutes before you boil it. Boil the noodles and strain. 5. In a bowl, pour one portion of noodles, and pour the tomato sauce with chicken mix on the noodles then sprinkle peanuts if desired. Enjoy it with the soup! Pour water into the pot, put the chicken bones in right away and add salt, boil for 30 minutes uncovered to avoid the color being darkened. Add pepper and spring onions when served. 1. Roast the semolina flour in a pan and stir until brown. Then remove from the heat and transfer to a bowl. 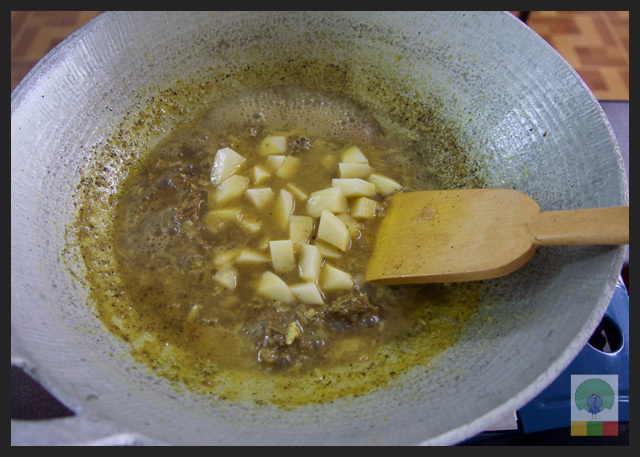 Add butter, sugar, coconut milk and salt into the pan and stir them all well. Then add the semolina flour, cashew nuts and raisins. 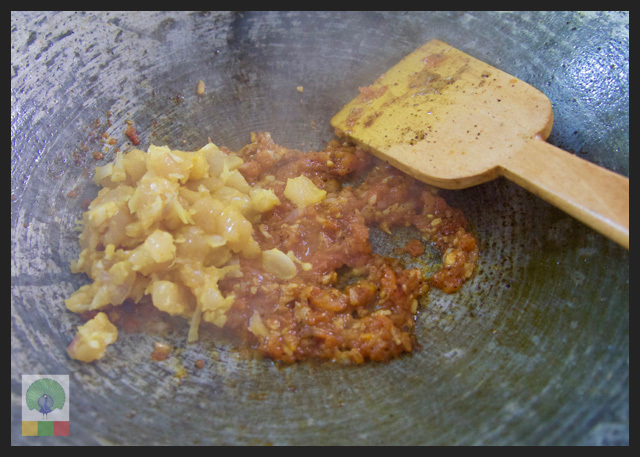 When it is quite sticky and thickened, remove from the heat. 2. Pour all into a container and spread the poppy seeds on top. My friend Mary also offers a Street Food Tour which is a lot of fun too!